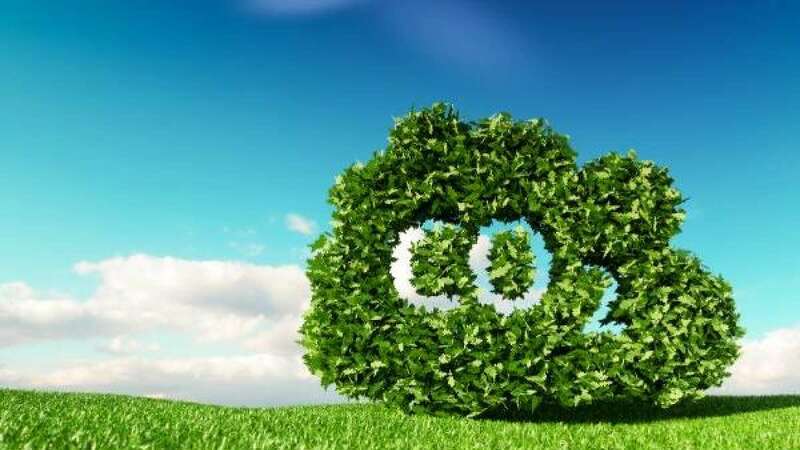 New Delhi : After much practice, scientists from the University of Illinois at Chicago have created artificial leaves that can convert atmospheric carbon dioxide to fuel ten times more efficiently than natural plants. Artificial leaves mimic the process whereby plants use water and carbon dioxide from the air to produce carbohydrates using energy from the Sun. But, the state-of-the-art artificial leaves only work in the laboratory because these leaves need pure, pressurised carbon dioxide from tanks. Researchers from the University of Illinois at Chicago in the US have suggested a design solution that could bring artificial leaves out of the laboratory and into the environment. The artificial leaf which would use carbon dioxide, a potent greenhouse gas from the air, would be at least 10 times more efficient than natural leaves at converting carbon dioxide to fuel. "So far, all designs for artificial leaves that have been tested in the lab use carbon dioxide from pressurised tanks," said Meenesh Singh, assistant professor at the University of Illinois at Chicago. "In order to implement successfully in the real world, these devices need to be able to draw carbon dioxide from much more dilute sources, such as air and flue gas, which is the gas given off by coal-burning power plants," said Singh, corresponding author of the study published in the journal ACS Sustainable Chemistry & Engineering. Unlocking the pressurised carbon dioxide supply from these leaves means that they must have a way to collect and concentrate carbon dioxide from the air to drive their artificial photosynthetic reactions. Singh and Aditya Prajapati, a graduate student in his laboratory, proposed solving this problem by summarizing a traditional artificial leaf inside a transparent container made of a semi-permeable membrane of quaternary ammonium resin and filled with water. The membrane allows water from inside to evaporate out when warmed by sunlight. As water passes out through the membrane, it selectively pulls in carbon dioxide from the air. The artificial photosynthetic unit inside the capsule is made up of a light absorber coated with catalysts that convert the carbon dioxide to carbon monoxide, which can be syphoned off and used as a basis for the creation of various synthetic fuels. Oxygen is also produced and can either be collected or released into the surrounding environment. "By enveloping traditional artificial leaf technology inside this specialized membrane, the whole unit is able to function outside, like a natural leaf," Singh said. According to their calculations, 360 leaves, each 1.7 metres long and 0.2 metres wide, would produce close to a half-tonne of carbon monoxide per day that could be used as the basis for synthetic fuels. 360 of these artificial leaves covering a 500-metre square area would be able to reduce carbon dioxide levels by 10 per cent in the surrounding air within 100 metres of the arrangement in one day. "Our conceptual design uses readily available materials and technology, that when combined can produce an artificial leaf that is ready to be deployed outside the lab where it can play a significant role in reducing greenhouse gases in the atmosphere,"